In the words of Dr Seuss, time has flown by. It certainly has been a while since I have posted a blog!!! However, even though I haven't written much lately, I have been very busy collecting and researching. Over the past couple of months I have had the good fortune to connect with a number of my cousins, who have been able to provide me with the most amazing family tree information, photos, post cards an letters. I am a present doing a Genealogical Spring Clean, sorting and filing all the scanned files that I have on a number of usb sticks. Very time consuming, however, there is light the end of the tunnel. I have spend this afternoon working through the scanned photos from one of my Aunt's albums and amongst these photos is a beautiful photo of my grandmother Christina Lee, when she would have been around 20 years old. 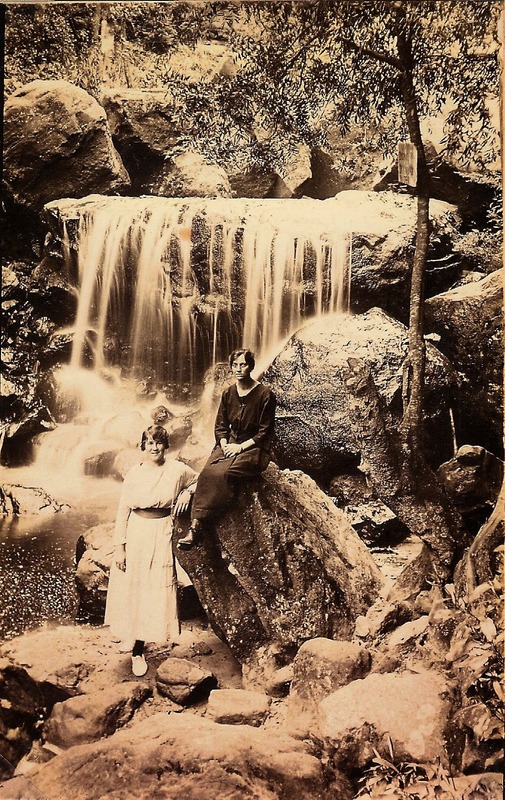 The picture is of Christina Lee, with her brother (Clyde Lee)'s wife Hilda in the Blue Mountains. Diane - this is just the most beautiful photo. I love all photos of the Blue Mountains but this is a beauty. Lucky you. Yes I love it, I wonder if it was taken by a professional photographer? Also, thanks for the follow !